The “Sets” feature in Windows 10’s Redstone 5 update makes tabs appear alongside windows in the Alt+Tab switcher. Even Microsoft Edge browser tabs appear in Alt+Tab. But you can hide these tabs and restore the classic Alt+Tab behavior, instead. 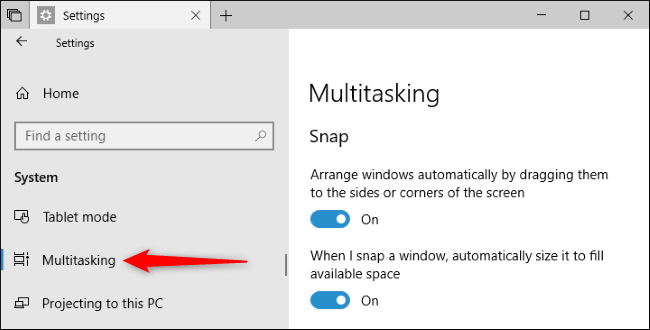 To change this setting, head to Settings > System > Multitasking on your PC. Scroll down to the “Sets” section, click the dropdown menu under “Pressing Alt+Tab shows the most recently used,” and then select the “Windows only” option. The default setting is “Windows and tabs,” which shows both windows and tabs. You may also want to click the box under “Apps and websites automatically open in a new” and select the “Window” setting there to prevent apps and websites from opening in tabs. 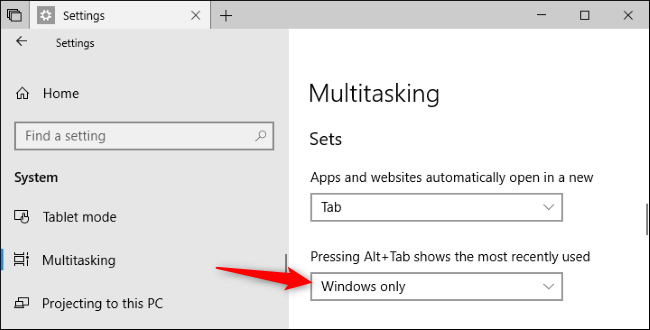 Windows 10 currently has no option to disable Sets tabs, so this is the most you can do if you don’t like it. You can still switch between tabs using keyboard shortcuts like Ctrl+Windows+Tab, even after you hide them from the Alt+Tab switcher. Note that Google Chrome and Mozilla Firefox tabs won’t appear in the Alt+Tab switcher because they use their own custom type of tab. Other applications that use their own type of tab won’t have their tabs appear in the Alt+Tab switcher, either. If these applications ever enable support for Sets, their tabs will appear in Alt+Tab, too.